Every business, whatever it's size, is facing tougher financial circumstances than ever. Legislation, in all areas of taxation,finance,company practice and administration,is becoming increasingly complex. 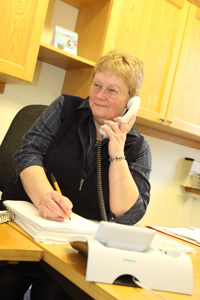 To meet these challenges we offer a whole range of specialised services, each under the direct control of the principal, who is supported by a dedicated departmental manager. And we keep ourselves in trim too. Our already highly qualified staff attend regular training programmes, constantly updating and improving the services we offer. Our fees are charged on the basis of the work done. This depends upon the time taken, the degree of specialist skill involved, the service given etc. The fee basis will, if requested, be discussed before an assignment is undertaken. Our client base reflects the diversity of business in the region and we deliver a range of services designed to help them meet the different challenges they face.